Is Alcohol becoming a Habit? An alcohol habit doesn’t necessarily mean that you have an addiction. A habit is an automatic, mindless or unconscious choice. Where as, an addiction is an activity that becomes compulsive and consuming. It has the potential to interfere with and override every day responsibilities. Both habits and addictions develop, because we believe that they make us feel better. We perceive them as a source of pleasure or escape. My personal experience with alcohol is probably similar to many Australians. As an older teenager I was keen to experiment with different types of drinks. I soon worked out my tolerance level. I decided that I wanted to enjoy my weekends horse riding, rather than nursing a hang over. In my late teens I had glandular fever, which damaged my liver. From this time on my interest in alcohol plummeted. With reduced liver function I was unable to metabolise the alcohol as effectively. I became the trusted driver for my friends. I do enjoy the aroma, colour and taste of a good wine, but find it best if I limit this to about a glass a week. Sometimes I drink more often than this, but my mind and body soon tell me it is time to take a total break. Like me, you may have health considerations too. There are general health guidelines on alcohol, and these are outlined in my earlier post, Celebrating Without The Alcohol. A few simple questions will help you answer, “Is alcohol becoming a habit for you? Is your response “yes” or “no” to the following? Mindfulness is a non-judgemental way of assessing whether your lifestyle choices are working for you. It is not until you notice that something is no longer working, that you can change. If alcohol is becoming a habit, then you are potentially not taking the best care of you. Do you drink mindfully? You may have a glass of your favourite drop each evening, but do not notice the colour, flavour and aroma of your drink. There are reported health benefits of a small (125 ml) daily glass of red wine, when included in a Mediterranean style of eating. But the potential health benefits of red wine, and nutritious foods, are enhanced through mindful drinking and mindful eating. You may realise that alcohol is becoming a habit, and that you are having more than is recommended for your health. If this is the case, remember you can change your habit. You may choose to substitute your alcoholic drinks with non-alcoholic alternatives. In my post promoting mocktails, I share five of my favourite non-alcoholic drinks. 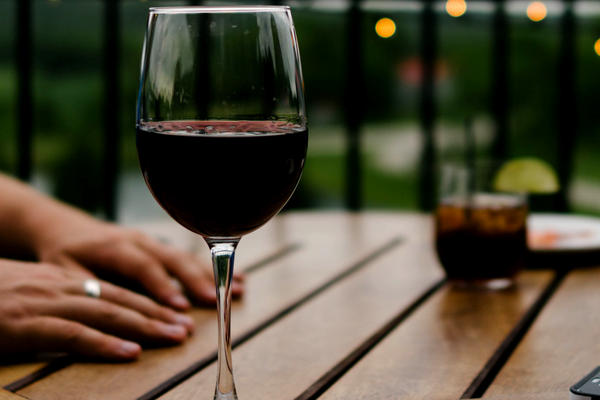 Alcohol may have become your go to comforter or ‘stress-release’ valve. You may have realised that the stress remains. Is it time to explore, and free yourself from your sources of stress? You may choose to do this with the support of family and friends, and a qualified healthcare practitioner. 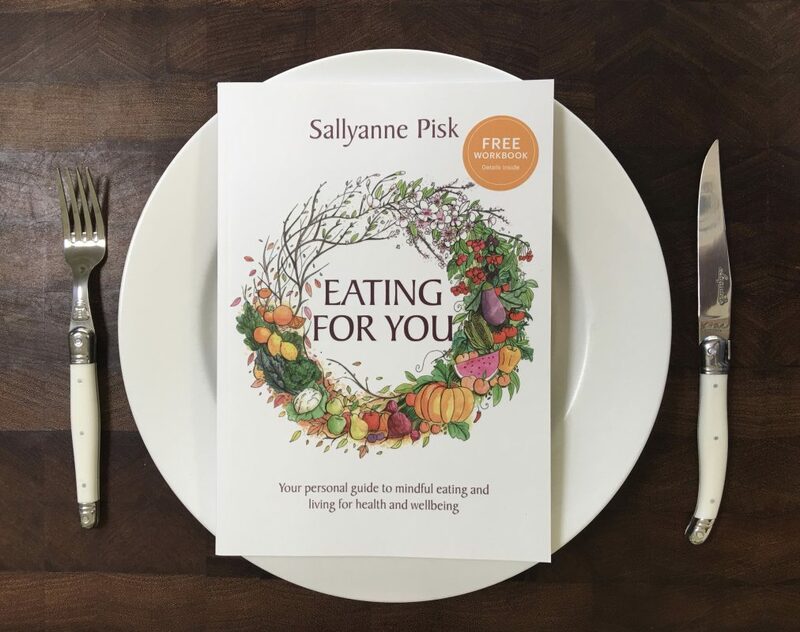 The Eating for You book provides a supportive, step-by-step approach to changing habits.